The Board of Governors of the National Shooting Sports Foundation® (NSSF®), the trade association to the firearms industry, today announced that O.F. Mossberg & Son’s Executive Vice President and General Counsel, Joseph Bartozzi, will be the organization’s next President. Bartozzi will assume his new duties Sept. 10, 2018. Current President and CEO Steve Sanetti will stay on in his CEO capacity through his retirement at the end of 2019, at which point Bartozzi will take over those additional duties. Bartozzi has spent the majority of his career with Mossberg, joining the company in July 1986. His time with Mossberg included a wide variety of positions, including Quality Engineer, Quality Manager, Product Service Manager, Director of Technical Services, Director of Manufacturing Operations and Corporate Attorney. Bartozzi currently serves as the Chairman of the Board of Directors of the Sporting Arms and Ammunition Manufacturers’ Institute (SAAMI); Treasurer and Member of NSSF’s Board of Governors; Board Member and Chairman of the Governance Committee of the Council to Advance Hunting and the Shooting Sports (CAHSS); Committee Member for the American Society of Testing and Materials (ASTM); and Technical Advisor to the Association of Firearm and Tool Mark Examiners (AFTE). He is also certified as a Range Safety Officer (RSO) by the National Rifle Association. Bartozzi was nominated for the 2013 “Person of the Year” by SHOT Business magazine, a nomination reprised in 2014. In 2015, Bartozzi was admitted to the Bar of the U.S. Supreme Court. 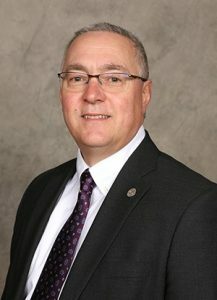 A member of the Connecticut and Maine State Bar Associations, he holds three professional certifications from the American Society for Quality (ASQ), and he is a member of the Society of Manufacturing Engineers (SME). “The Board of Governors agreed that Joe’s unique set of experiences and skills will provide NSSF and the firearms industry with the strong leadership needed to ensure we can continue our mission of promoting, protecting and preserving hunting and the shooting sports for generations to come,” said Robert Scott, Vice Chairman of Smith & Wesson and NSSF’s Board of Governors Chairman.